Located in North Sumatra Province, Lake Toba is indeed not just an ordinary lake but is the largest volcanic lake on Earth. The ancient lake has been formed by a steep-walled caldera produced during the Toba volcanos eruption, the largest known volcanic eruption on the planet in the past two million years. The powerful eruption, an extremely rare event, is called a supervolcanic eruption. When viewed from space, the Toba caldera is one of the most striking volcanic craters on Earth, measuring 100 x 30 kilometers. The lakes history was recalled during the Wonderful Toba Fun Walk organized in Jakarta on May 15, 2016, and some 10 thousand people took part in it. To promote the lake, a Wonderful Toba Fun Walk was organized in Jakarta on May 15, 2016 and participated by some 10 thousand people. While officiating the promotional event, Coordinating Minister for Maritime Affairs Rizal Ramli stated that Lake Toba was an extraordinary historical attraction that can lure tourists. "An extremely powerful volcanic eruption occurred some 70 thousand years ago and was bigger than those of Mount Krakatoa and Mount Vesuvius in Pompeii, Italy," the minister recalled. The eruption had created Lake Toba and triggered climate change. The world was covered in darkness for months due to the eruption, the minister noted. The extreme climate change had melted continental ice sheets and had transformed the flora and fauna. "If this history is showcased through a tourism package, several people will be attracted to visit Lake Toba," he remarked. The government has designated Lake Toba as one of ten priority tourist destinations being developed and promoted intensively. The nine other priority tourist destinations are Tanjung Kelayang in Belitung, Tanjung Lesung in Banten, Thousand Islands in Jakarta, Borobudur Temple in Central Java, Mount Bromo in East Java, Mandalika in South Lombok, Labuan Bajo in East Nusa Tenggara, Wakatobi in Southeast Sulawesi, and Morotai in North Maluku. 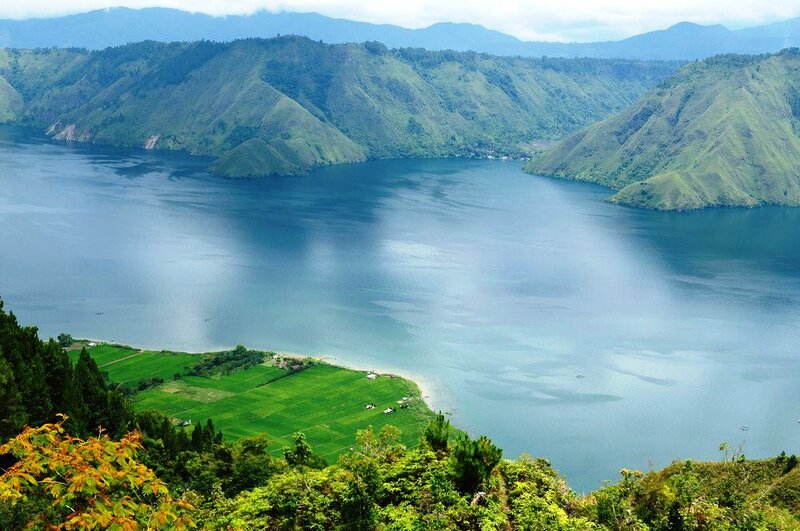 The government is currently developing infrastructure in North Sumatra to boost the tourism industry in Lake Toba. A toll road is being constructed to connect the Kuala Namu Airport with Lake Toba and shorten the distance. A ring road will also be constructed around Samosir Island. Moreover, the government is taking efforts to improve the cleanliness in and around the lake. "The government has also eased the issuance of permits for tourists to visit Indonesia, and the same facility is also being offered to cruise ships to dock in Indonesian regions," he revealed. Ramli emphasized that the government was keen to raise global awareness to attract visitors to Indonesias other interesting tourist destinations, besides Bali, which is one of the worlds most famous island resort. The government has annually spent significant amount of funds to promote other regions, apart from Bali, he pointed out. However, the promotion had, so far, failed to focus on highlighting other regions beyond Bali as the funds were allocated for 80 tourist destinations in addition to 200 regions, he explained. Indonesia has various tourist attractions, which are as beautiful as Bali, he noted. This year, the government has changed it strategy by focusing solely on 10 tourist destinations. The funds will also be utilized to develop infrastructure in those regions. Lake Toba needed to have better connectivity and accessibility, President Joko Widodo (Jokowi) stated on March 1 when chairing a meeting in a Lake Toba resort in Samosir District. The meeting was a follow up of a limited cabinet meeting held at the Presidential Palace in Jakarta on February 2, 2016. During the meeting, the president instructed the ministers to develop connectivity and accessibility in the Lake Toba tourism area by constructing or renovating airports, roads, and seaports. "I also emphasize the need to make preparations to develop Lake Toba as a brand that offers services of international standards and also offers arts and cultural attractions along with beautiful choreography, good designs, and class," the president stated. The Toba development is expected to help improve the living conditions of the local population, Cabinet Secretary Pramono Anung said. "Lake Toba is being prepared to become "a new Bali" in Indonesia. We are confident that we will be able to do so and Lake Toba will be developed into a nature and geo-park tourism destination," he added. Tourism Minister Arief Yahya said on an average US$1 billion annually is expected to be earned from foreign tourists visiting Lake Toba. Lake Tobas tourism industry is expected to contribute Rp30 trillion by 2019. The investment at the initial stage for Lake Toba will be Rp20 trillion, of which Rp10 trillion will come from the government and the rest will come from the private sector, he said. Bambang Susanto Priyohadi, an expert staff of the coordinating minister for maritime affairs, recently stated that investors had expressed interest to build up to one thousand hotel rooms in the Lake Toba area.